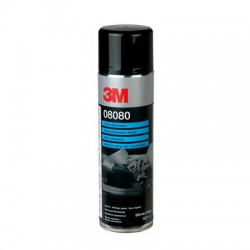 Spray Adhesives There are 5 products. 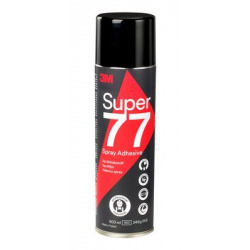 The Scotch-Weld™ 75 is a glue sensitive aerosol adhesive pressure suitable for temporary assemblies and repositioning of lightweight materials in the case of exposure or temporary holding before final assembly. 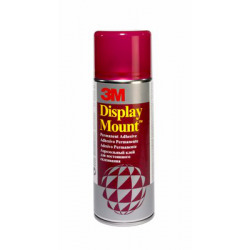 The universal adhesive 3M™ is a spray adhesive, with an adjustable spray nozzle for selecting different widths used to spray. 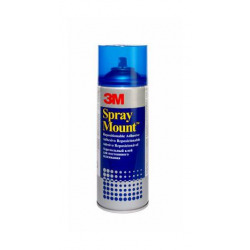 This nozzle allows for economical and accurate spray. 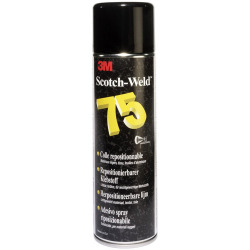 The bottle of Scotch-Weld™ 77 glue is a glue bottle multi-purpose assembling most lightweight materials.